City Scape Egypt attracts developers from various industry sectors by providing them with the opportunity to look into the future of Real Estate. Mr. Chris Speller, the director of Cityscape and Informa Egypt at IIR Middle East, declared that Cityscape Egypt participants exceeded expectations amid Egypt's critical phase. With one month to go before the event opens its doors from the 20th until the 23rd of February 2012, numerous real estate international and local professionals, developers, investors, and end users are expected to attend. Especially, after the government's efforts towards solving Egypt's post revolution real estate problems. Mr. Chris Speller added that City Scape Egypt attracts real estate developers from various industry sectors by providing them with the opportunity to look into the future of Real Estate and share their expertise on the most compelling issues in the industry. Key developers participating in the event include Talaat Mostafa Group, Palm Hills, Ocean Blue, Moharram.Bakhoum, Citystars, SODIC, Heide Park (DAMAC), Al Ahly For Real Estate, Peter Home,Al-Futtaim Group, Emaar Misr for Development S.A.E, Orascom Hotels & Development, Tiba, Rooya group, Memaar Al Morshedy and Mac Tourism Company (the owner of the Emirates Heights project). Cityscape Egypt will also feature top-notch real estate agent including Coldwell Banker and Dar Al Zain. Besides, key mortgage companies institutions such as Al Ahly, Sakan, and Egyptian Housing Finance Company. Furthermore, City Scape Egypt exhibition and conference incorporates vital financial institutions, sovereign wealth funds, and risk investment firms including the World Bank, JP Morgan and others. Mr. Speller declared that Cityscape Egypt examines the latest trends in real estate market development aiming at bridging the supply demand gap on affordable housing projects. Mr. Speller explained that, Cityscape Egypt focuses on the residential needs of the middle class households, the pre-revolution underserved segment of Egypt's housing market. "The Egyptian real estate market has gone through a lot of changes since the 25th of January revolution. The growing demand on housing; will restore confidence in the sector. Especially after the successful completion of the Parliament's elections, and the government's attempts to formulate solutions for Egypt's chronic land allocation real estate problems and disputes of 17 companies operating in the private sector," Mr. Speller added. Mr. Yasser Ghazi, "Lead" Marketing Solutions CEO, affirmed that the current political and economic uncertainties pose challenges and opportunities for the Egyptian real estate sector, and that the industry requires innovation, efficiencies, transparency and stability to bring back investors' confidence. Mr. Yasser Ghazi, added that Cityscape Egypt 2012 will enhance and support the vision for the Egyptian real estate market growth to foreign and local investors, highlighting its revolutionary developments and unparalleled investment opportunities. Mr. Yasser Ghazi, explained that Cityscape Egypt has been held to attract the brightest and most dynamic minds in the fractional real estate industry to help define the 'new rules' and future opportunity within an ever-changing market landscape. Additionally, event participants, for the first time, will be able to book meeting, see who will be attending and prearrange agendas before the doors to the event open with the new Business Matching service. Mr. Ahmed Ghozzi, "ACG-ITF" Chairman & CEO, pointed out that the Egyptian government adopted decisions will lure serious real estate and property investments in the country. Yet, Ghozzi urged investors, developers, regulators and service companies; to come together, network and gain a greater perception towards reviving the Egyptian real estate performance over the upcoming years. 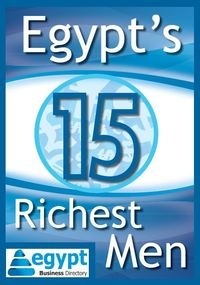 Egypt provides various investment opportunities as the government introduces new legislation to foreign investment.